The world recently woke up to the gruesome news of a terrorist attack in Paris, one of the most visited places on earth. Security and intelligence agencies are not ruling out a similar planned attack in other parts of the world, including on Indian shores. Opting for an insurance plan that covers terrorist attacks looks more relevant now than ever before. In general insurance, however, a lot of ambiguity persists when it comes to coverage of losses arising out of terror attacks. Most general insurance plans like travel insurance, home insurance, and enterprise insurance have restrictions. Plans that offer terrorism are often selective in their coverage. Insurance companies have a clear definition as to what constitutes an act of terrorism or terrorist attack. 'An act that causes any kind of physical violence where there is a loss of life or property' is deemed as a terrorist attack. Usually, all attacks that are carried out by either individuals or a group of people together to weaken any established government are included in it. Any damage or loss that a person may suffer due to a routine law and order issue may not necessarily come under the definition of a terrorist attack. Some insurance companies consider hijacking of planes, buses, and trains as part of a terrorist attack, while others consider it a law and order problem. Most travel insurance plans do not offer coverage for financial losses resulting from terror attacks. Only losses from situations like loss of passport or essential baggage, trip cancellation, medical expenses, repatriation of remains in case of an unfortunate demise, and expenses arising out of an extended stay are covered. Some may cover hijacking but it depends on the plan and the add-ons. If you knowingly visit places that have a high chance of being targeted by terrorist attacks or terror-related activity, you may not get a claim towards any related loss. 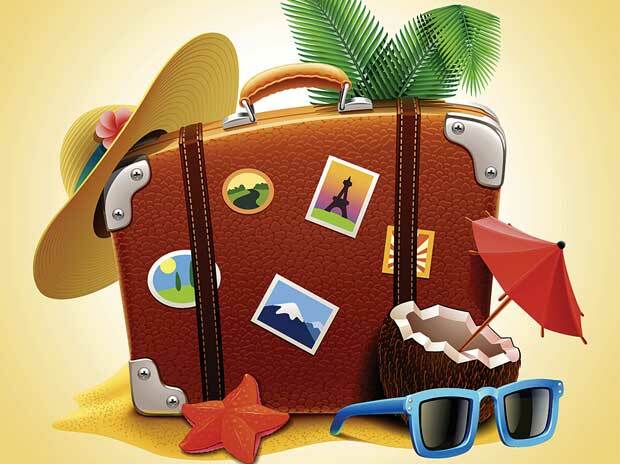 Also, the coverage offered by travel insurance plans is strictly restricted to the places on the insured's itinerary. Therefore, if someone takes a detour and is caught in any terrorist-related activity in a city or location not on the itinerary, the person's claim would get rejected. Never ignore instructions from the officials in the country or city of your visit. If you had been instructed to stay indoors, but deliberately ventured out and are affected by any terrorist-related activity, your claim for any losses suffered would not be entertained. If you are an avid traveller, it is ideal to opt for a travel insurance plan that offers protection against such volatile situations. As instances of terrorist attacks have been growing, insurance companies have also started offering terrorism insurance as a separate standalone policy. A terrorism pool was developed in India in 2002, which is a combined effort of all general insurance companies. It provided help and cover for the losses caused during the 26/11 attacks in Mumbai. This policy provides coverage to individuals as well as businesses for potential losses due to acts of terrorism. Any organisation - small or big - can be covered. This is highly recommended for public institutions like schools, colleges, universities, hospitals, hotels, and stadiums. A standard feature stand-alone terrorism insurance offers is protection against financial losses out of property damage. An extended cover may also include claims for business interruption due to terrorist attacks. The best way to keep youself safe from any terror attack is to have adequate protection. Keep a balance between travel, health and personal insurance to make sure you are adequately covered both in India and on foreign soil. It will help you to take a right decision based on the contingency. Go through the policy documents in detail before signing up, to understand the scope of its coverage, as most plans do not cover risks arising from terrorism. Always choose general insurance policies after evaluating their comprehensiveness. National Payments Corporation of India (NPCI) has relaxed the time period to claim personal accident insurance under RuPay Classic cards to 90 days from 45 days, with immediate effect. The card holders will have to carry out at least one banking transaction within 90 days of accident including the accident date, to be eligible for the personal accident cover, the company said in a release today. The card holders are entitled to a sum insured of Rs 1 lakh under personal accident insurance-death and permanent total disability. 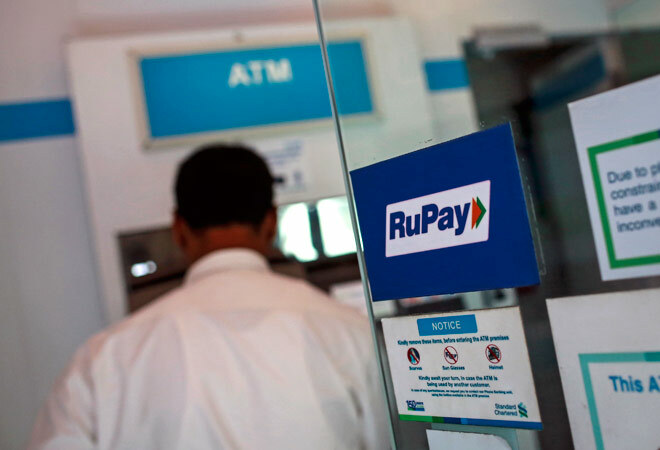 "This extension will provide more flexibility to RuPay Classic card holders including the Pradhan Mantri Jan Dhan Yojana (PMJDY) customers who have been brought under the ambit of mainstream banking", NPCI managing director and CEO A P Hota said. Auto insurance is a legal as well as an essential requirement for all vehicle owners. If you have been wondering how car insurance premiums are calculated, here is everything you need to know. When it comes to offering a protective cover for your car in case of damage, theft or loss, a car insurance policy is your vehicle’s best friend. It also compensates for third party damage caused by careless driving. There are essentially two types of car insurance plans—comprehensive car insurance and third party insurance. Third party car insurance is mandatory for all vehicles as per law, while comprehensive car insurance is optional for old cars. A comprehensive car insurance plan has two essential components. These include own damage (OD) premium and third party (TP) premium. Own damage premium: The own damage premium is the part of premium fixed as per the Insured Declared Value (IDV) of your vehicle. The IDV is calculated after taking into account the value of the vehicle after depreciation. The IDV can be increased if the car owner wants a higher level of protection for his vehicle, but the premium in that case would proportionately increase. Third party premium: Third party premiums are fixed by the insurance regulator and depend on the volume or the cubic capacity of your vehicle. Below are the third party premium rates for vehicles effective from April 1 2015. 1. Insured Declared Value (IDV): Car insurance is a type of indemnity policy where the total compensation is directly linked with the value of your vehicle, based on its age and model. The Insured Declared Value is the maximum amount that you can claim under a policy. A new car just out of the showroom will have a higher IDV. As your car ages, the IDV takes into account its depreciation value. The IRDA offers a calculation chart for depreciation which is used by insurance companies to arrive at the IDV value for older cars. 3. Geographical location: Your geographical location has a say in how much car insurance premium you end up paying. India is divided into 2 zones namely zone A and zone B depending on the risk faced by motorists. Zone A cities have a higher premium than cities in Zone B. Zone A comprises cities like Mumbai, New Delhi, Bangalore, Chennai, Kolkata Ahmedabad, Hyderabad and Pune. Zone B includes the rest of India. 4. Age of the vehicle: The age of the vehicle plays a significant role in determining the final premium amount. With time, as the vehicle depreciates in value, insurance companies offer lower premium as the insurance cover gets reduced proportionally. If your car is more than 5 years old, then the insurance company decides on the cost of your car based on its condition, before determining the final premium amount. 5. No Claim Bonus (NCB): If you do not make an insurance claim for one year, you are eligible to get a No Claim Bonus, which offers you a discount on your premium. By not claiming insurance, you can have a NCB discount of 20% from the second year, which will be deducted from the OD premium. NCB can go up to 65% based on number of claim-free years you ensure, thereby reducing your premium costs substantially. 6. Other factors: There are other additional factors considered for insurance premium calculations. Installation of anti-theft devices, being registered members of some automobile associations, use of CNG or LPG kit are also important factors that insurance companies take into account when calculating the final premium amount for your car. Insurance premium calculation makes use of all the factors mentioned above to arrive at a final premium amount. Depending on the above, two cars bought at the same time in different locations or with different cubic capacities may have to pay different premiums for insurance. General insurers are gearing up to settle the claims, which are pegged at over Rs 200 crore so far, from the last week’s devastating floods in Chennai. 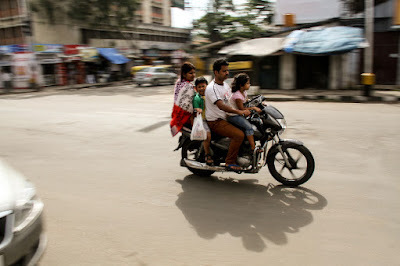 State-owned general insurers like New India Assurance, United India, National Insurance and Oriental Insurance and private sector players like Bajaj Allianz and ICICI Lombard have already received the claims and expect more of them in coming days. The floods, which occurred due to heavy rains in Tamil Nadu, have claimed nearly 90 lives so far, most of them reported from Chennai and nearby areas. ”So far, we’ve received about 100 claims worth at Rs 30 crore. We’d be receiving more claims in the next days. But the incident would not be as severe as the Kashmir floods or the Hudhud cyclone losses,” New India Assurance chairman and Managing Director G Srinivasan said. ”No precise information could be given at this stage as claims are still being reported. Losses are likely to be small except in case of high-end cars where repair charges could be higher,” he added. An official of United India Insurance said they have received 130 claims worth Rs 110 crore so far. The Chennai regional office of National Insurance Company has so far received 131 claims worth Rs 4.16 crore, most of which have come from retail and industrial segments,” its acting CMD Rajesh Aggarwal said. 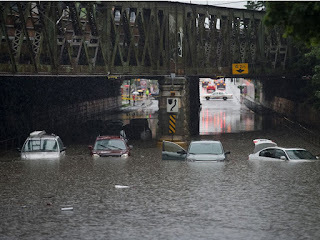 Considering the intensity of the inundation and water logging, motor claims are expected in large numbers. Communication network having collapsed, may be claims have not been lodged so far, he said. Bajaj Allianz, which is one of the largest insurers of cars and commercial units in Chennai, has received 200 claims as of now. “Till date we’ve received close to 200 claims which largely from motor and properties,” its Managing Director Tapan Singhel said. ”Overall, we feel majority of losses will come from the motor insurance segment. The losses have just started trickling in since the rains have subsided and customers have started assessing and reporting losses. 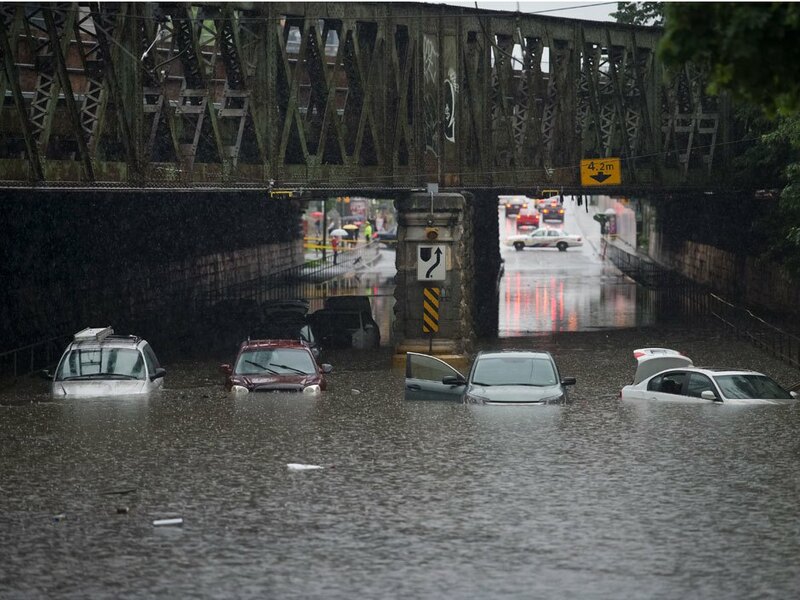 However, we do not expect a considerable rise in the number of claims,” he added. Oriental Insurance has received 76 claims related to Chennai floods. 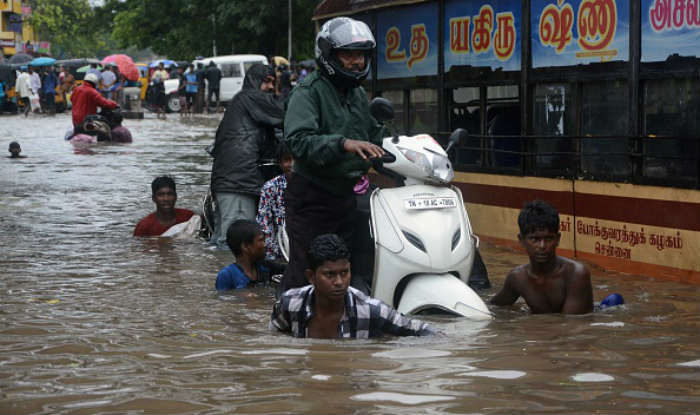 ”We’ve received 76 claims from mid-sized businesses and retailers estimated at Rs 37 crore as against three losses reported from industrial houses estimated at Rs 30 crore,” head of Chennai region of Oriental Insurance Ajit Kumar said. ICICI Lombard’s underwriting and claims head Sanjay Datta said his company expects more claims to flow in from motor and corporate segments. However, he ruled out any impact on the balance-sheet as the company has transferred a major portion of the risk to reinsurers through obligatory cess. Insurers and industry-watchers expect a spike in demand for travel insurance in light of terror attacks in Paris last Friday, as international travellers wake up to the possibility of such threats across the globe, including high-sought-after destinations in developed nations. "The unfortunate incident could prompt travellers to recognise the importance of travel insurance, even when they are travelling to countries where it is not mandatory," said Nikhil Apte, chief product officer, product factory (health insurance), Royal Sundaram Alliance Insurance. Travel insurance is compulsory for obtaining a Schengen visa, which covers 26 European nations, including France. "After the recent terror attacks, travel insurance has become all the more important as it provides you financial cover and peace of mind if you get caught in such volatile situations," said Naval Goel, CEO and founder, PolicyX.com, an insurance aggregation portal. Insurance companies make a distinction between war, riots and terrorism. The latter is defined as an act of violence that causes loss of life and property where perpetrators belong to groups that seek to weaken control of established governments. Similarly, other lines of insurance business - life, health, personal accident and home - too are likely to attract more interest. "Insurance seekers are already evaluating policies on the basis of their comprehensiveness. For instance, several high-end health covers pay for evacuation from primary care centres to hospitals of insured's choice in case of emergencies," said Apte. Incidents like the one in Paris could prompt rise in insurance purchases and deeper analysis by insurance-seekers. You need read the fine print carefully to understand the scope of coverage and the items that the company will not pay for. 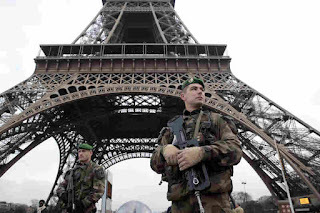 Many travel insurance policies do cover listed expenses arising out of terror attacks. "All risks like trip cancellation, loss of passport, medical expenses, repatriation of remains etc are covered as part of the regular travel policy even if they result from terrorism," said Sanjay Datta, head, underwriting and claims, ICICI Lombard. Your accommodation expenses will also be reimbursed if you have to extend your stay due to an emergency. Depending on the variant chosen, the company will also pay for your journey back home and visit from a relative on compassionate grounds. However, you need to go through the policy documents in detail before signing up for one as some companies may not pay for risks emanating from terrorism. For example, Tata-AIG specifically mentions terrorism as exclusion in its travel policy, though it covers flight hijacking. Besides, even in policies that provide insurance against terror, insurers will not admit claims if policyholders visit destinations that are known to be facing such risks or knowingly violate safety regulations. For instance, if a policyholder were to suffer injuries after venturing out despite instructions from Paris authorities to stay indoors, her claim could come under a cloud. "You also need to figure out whether the coverage applies only to a city that is specifically on your itinerary, or also extends to the other cities or to the country as a whole," added Kumar. The existing pension plans/ retirement plans in India are from the insurance companies. They are available in the form of traditional products or in the form of ULIP schemes. The traditional pension plan/retirement plan schemes from Indian insurance companies are expected to deliver only 6% to 7% CAGR as they are allowed to invest only in conservative avenues. This 6% or 7% is not sufficient to beat inflation. The ulip pension/retirement plans have huge front loaded charges. They also have higher regular running expenses and fund management expenses which pulls down the net return. That's why market has rejected these products and they have become failures. As a prudent investor, you should not rely on a single product or scheme for your retirement planning. A comprehensive and customized Indian retirement plan should consist of a bundle of schemes and not a single scheme. Also you need to avoid schemes which deliver lesser return and schemes with huge charges. You need to select a combination of schemes which as a combination can deliver a decent inflation adjusted returns with low charges. A combination of Term Insurance, Mutual Funds, and PPF will help you in creating a better pre-retirement planner in India. In case of any mishappening to you, your spouse's retired life needs to be secured. This can be protected with adequate term insurance. Online term insurance policies are cheaper by 50% to 60%. So opt for online term insurance instead of an offline term insurance. Equity mutual funds play a vital role in delivering positive inflation adjusted returns. Short term and Medium term debt funds are better alternatives to fixed deposits as they can deliver better post tax return. PPF delivers 8.8% tax free return. It has got a lock in of 15 years. One can save upto Rs.1 lac p.a. Safety and its tax free status makes this product a compelling option for an Indian pre-retirement planner. A combination of schemes like POMIS, Senior Citizen's Savings Scheme, Bank FD, Mutual Fund MIPs and Debt funds could be considered for creating a post-retirement planner in India. We have discussed enough about why we should have a Customised Retirement Planner in the place of a readymade pension/retirement plan. Let us think about how to create a comprehensive and customized retirement plan. In this step, as an Indian retirement planner, you need to answer two questions. One is ''How many years from now you are planning to retire?'' and the other one is ''Your Estimation of Post-retirement years''. Studies reveal that the average life expectancy of an Indian is 75 years. But it is advisable to assume 85 years as your life expectancy so as to make sure that you will be covered enough during your post retirement. The first question to be answered is ''What is the expected amount to be received at the time of retirement from schemes like EPF, superannuation, pension commutation, gratuity?''. The second question to be answered would be is ''What is the annual income you expect from the sources like pension schemes, rent, royalty?''. 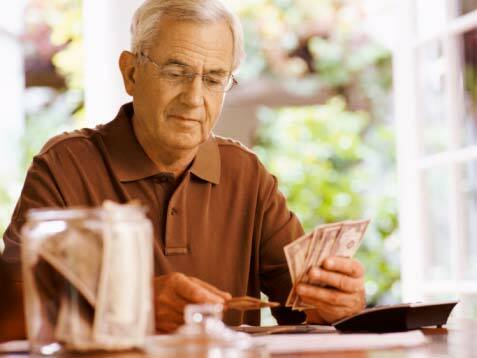 ''What is the current value of the investments made towards retirement?'' and â€œWhat is the expected return from these investments?'' are the questions to be answered in this step. We are going to work out the retirement planner in this step with the answers from the earlier steps. a) You need to find out the future value of the retirement expenses with the present value of retirement expenses, number of years to retire, and the inflation assumed. b) The expected retirement income by way of rent, pension, royalty need to be deducted from the retirement expenses (calculated in the point (a)) to arrive at the net retirement income to be generated from the retirement corpus. c) Then the retirement corpus needs to be calculated by taking into account the net retirement income (calculated in the point above point), number of retirement years, inflation assumed post-retirement. d) The retirement benefits like pension commutation, gratuity, superannuation, EPF needs to be deducted from the retirement corpus (calculated in the point (c)) to arrive the net retirement corpus required. e) The monthly investment required to accumulate this net retirement corpus needs to be calculated taking into account the existing investments, and the rate of return from the investments. The detailed approach for creating a comprehensive and customized Retirement Planner is well explained in the above five steps. > A professional financial planner will be able to take into account "the rate at which your income grows" to decide the monthly investment towards the retirement corpus. > Also the financial planner will be able to decide the asset allocation for your portfolio based on the required rate of income to accumulate the net retirement corpus. > The financial planner will be suggesting you the right mix of schemes for your pre-retirement planner and post retirement planner. > Also the professional financial planner will be able to tell you the required life insurance coverage and the health insurance coverage and when you need to opt for health insurance coverage. > Periodical review on the retirement planner has been conducted by the financial planner so as to accommodate the changes and deviation from the original retirement planner. You can be a ''do it yourself'' retirement planner or ''seeking professional assistance'' Indian retirement planner, the above points will help you in having a happy and peaceful retired life. Critical illness cover is a benefit policy wherein a lump sum amount is paid on diagnosis of certain diseases as per the insurance cover. Earlier, people used to take life cover fearing premature death and leaving the family to cope without a breadwinner. But due to the modern technology and advancement of treatments, most of the critical illnesses can be treated well and get cured. This requires a huge financial support, for which medical insurance is the only solution for most of the ordinary public. The importance of critical illness cover is rising due to the substantial increase in the number of patients suffering from illnesses like cancer, heart attack and organ failures. Due to the longer treatment tenure and the cost of non-medical and medical expenses, the critical illness cover is required. The sum insured is paid immediately subject to policy conditions. We get advanced treatment in various hospitals and the expenses, based on the facility provided by the hospitals. In critical illness policy, insurers pay the sum insured in lump sum once the disease is diagnosed, subject to certain survival conditions. So the patient can meet the expenses by this insurance even without a hospitalization. An insured member can utilize the money for treatment of diseases, expense related to lifestyle change based on doctor's advice, alternate medicines in India as well as outside country, organ donor expenses, etc. It can be either standalone critical policy or rider/ add-on cover linked to a basic life or med claim. There is no difference between these two with regard to claim settlement. The sum insured under critical illness policy will be paid in lump sum irrespective of stand alone or rider/add on. As far as critical illness is concerned, the sum insured will be paid in lump sum on diagnosis subject to certain survival conditions. Most of the insurance companies are insisting 30 days survival. In these kind of situations, under critical insurance lump sum plan, people may try for different mode of treatments even without hospitalization. For the re-imbursement method, most of the insurers allow only allopathic medical expenses or impose specific conditions that may not be viable for the situation. One should check the policy conditions, and the critical illnesses cover under the policy and sum insured (should be adequate). Illness is always an uncertain event. It's always better to go for multiple illness cover policy rather than go for one or two diseases. That would also provide the premium advantage. Most of the life and general insurance companies provide critical illness policies. Reimbursement mode is applicable in standard mediclaim policies. A few insurance companies are offering women specific critical illness insurance policies. For these products, the premium needs to be checked. It is up to the customer's discretion to opt for them. It's always better to have a separate critical illness cover policy as it offers lump sum payment. Once the illness is diagnosed, the customer can decide the method or mode of treatment even without hospitalization, or multiple methods. 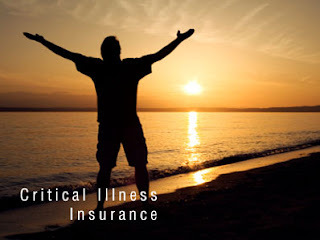 Since the critical illness cover offers lump sum payment, the insured person will have the liberty to meet the medical expenses at his convenience. Around 95% of middle-class Indians do not have enough health insurance to cover some of the most common procedures and ailments in the country, according to a report. Surprisingly, consumers above 45 who are at higher risk of health problems and closer to retirement, are least prepared for emergencies as they are under-insured by an average of 69%, reveals the report. The study is based on data obtained from 10,000 consumers across eight major cities, aged 25 to 45+ and in the income bracket ranging from Rs 6 to 36 lakh annually. The report further points pout that it is getting more expensive to treat some of the most commonly occurring diseases in India. Amid an inflationary environment in India for at least a decade, prices four years ago were not exactly low. The fact that they have again risen, by double digits in some cities, is noteworthy. It is clear that there is room for Indian prices to increase further. We believe that current inflationary trends are likely to continue for the foreseeable future. While it is no surprise that typical treatment costs in the US are sometimes more than 10x what they are in India, that they are more than twice as expensive in countries closer to home such as Malaysia and Thailand, means Indians could soon be paying more. According to the report, over the last 4 years, premiums of most insurers have increased only once, in 2014, over the previous year, reflecting a CAGR of 2.79% (for sum insured of Rs 2,00,000 and Rs 3,00,000) and 3.29% (for sum insured Rs 5,00,000 and Rs 10,00,00). Data show some 95% of our users are not adequately insured, with 62% of 10,000 BigDecisions users having less than 50% of required health cover. Consumers above 45 (with higher needs, typically higher incomes and fewer years to retirement) are a high-risk group – they are the least prepared for health emergencies as they are under-insured by an average of 69%.